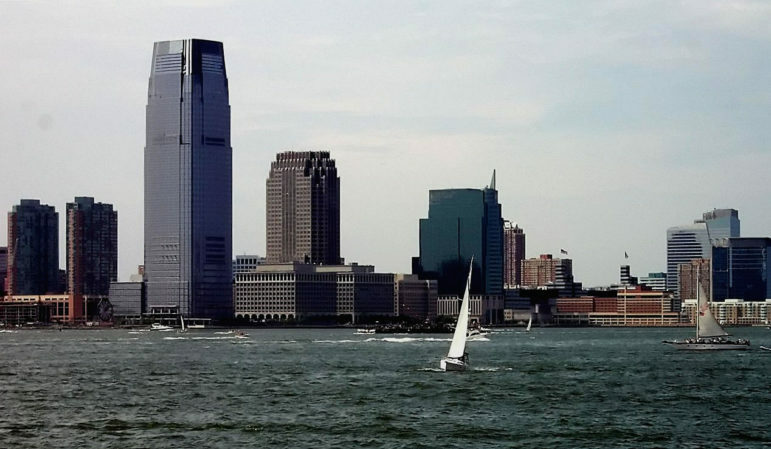 The de Blasio administration last month asked state regulators for a second extension on a plan to control the release of untreated sewage into the waters that connect the five boroughs. And the advocates that often prod the city’s Department of Environmental Protection to act faster to address pollution support the move—so long as it produces a plan worth waiting for. Most of New York City is served by sewer pipes where rainwater from street drains and wastewater from toilets, tubs and sinks mix together and head to treatment plants. When it rains heavily, those plants can get overwhelmed and release untreated water into rivers, creeks and bays. Those so-called “combined sewer overflows” total billions of gallons a year. While the city has spent billions cleaning up its waterways, making them healthier than they have been in modern times, New York still falls short of the federal Clean Water Act’s goal of fishable and swimmable water. After years of pressure from regulators and advocates to address the problem comprehensively, the city began in 2012 to produce long-term control plans, or LTCPs, committing to specific policies to improve quality in affecting water bodies. So far, it has generated 11 plans for places like the Bronx River, the Gowanus Canal and Flushing Creek. Ten have been approved by the state; the one for Jamaica Bay remains under review in Albany. The plans propose different combinations of “green infrastructure” (basically, using vegetation to soak up the rain and delay it entering the sewage system) and “grey infrastructure” that includes stuff like building holding tanks and installing chlorination systems to kill the germs that lurk in what is known on the street as “poop.” There’s been a fair amount of tension between the city and some water-quality advocates over whether the plans are ambitious enough. The plan was due in December 2017, but the city got a one-year extension from the start Department of Environmental Conservation (DEC). Last month, the DEP asked DEC for another 15 months citing the complexity of the plan, the need to coordinate with New Jersey on issue affecting the shared harbor, the desire to have a more robust public outreach effort and the need to craft a new contract for the outside consultants that assist the city with these plans. DEP says it has invested $4.2 billion for completed and ongoing projects to further improve water quality and “testing confirms that NY Harbor is cleaner today than it has been since the Civil War.” The new projects in the 10 completed long-term plans will mean another $5 billion in work. The S.W.I.M. Coalition said in a note to members this week it supported the extension, with caveats. “Despite the urgency to clean up the city’s waters, we recognize that submission of a flawed LTCP in December 2018, without opportunity for public input, would not advance our shared goals of solving the city’s extreme and long-standing sewage pollution problems,” it read. The coalition wants specific, enforceable deadlines for water testing, contracting, laying out alternatives and producing a draft plan. A key facet of the discussion is around the public engagement process. The city released broad outlines of earlier LTCPs for public comment and then submitted their much larger final proposals to DEC without the public having a chance to weigh in on what was done about their critiques and suggestions. DEC offered no avenue for public comment. This irked advocates. Now DEP is proposing two comment periods: one on the list of possible policies, and one on the list of policies DEP intends to adopt. But S.W.I.M. still feels the city “has not committed to a meaningful public participation plan worthy of delaying the implementation of the Citywide LTCP,” according to its letter to the state, because the full plan still won’t be seen by the public until it is submitted to the state. The city DEP started their veeyblong road to their Long Term Control Plan for Gowanus Canal with a Stakerholder group they firmed in 2002. Very very long-term planning process going on here, all to comply with the 1972 Clean Water Act. This continious delay has so much to do with a fully failed URULP process that has allowed continual redevelopment without necessary infastructure redevelopment. The infastructure deficits are becoming “unfixable” on so many fronts, from sewage management to transportation of any sort on streets or underground. FEMA deals didn’t work for many upstate residents affected by 2011’s Tropical Storm Irene. So New York’s DEP is offering to buy some homeowners out—a way to improve city-watershed relations and pick up small but important tracts of land. Since 1997, New York City has spent $438 million to protect 135,149 acres of land in the Catskill/Delaware watershed, a land area greater than Manhattan, Brooklyn and Queens combined. Decades-old resentment in watershed towns has eased, but there are still points of tension.